During the 20th century academia increasing moved into the domain of prestige prestidigitation by turning their informed insights into authoritative assertions of fact. Some of these authoritative assertions are oxymorons. The solar constant is an average of a varying value. Others represent a retreat from reality into the land of mathematics, models and make-believe. The solar dynamo is the physical process that generates the Sun’s magnetic field. The detailed mechanism of the solar dynamo is not known and is the subject of current research. Scientists from the National Center for Atmospheric Research (NCAR) also developed a computer model of solar dynamics (Solar dynamo) for more accurate predictions and have confidence in the forecast based upon a series of test runs with the newly developed model simulating the strength of the past eight solar cycles with more than 98% accuracy. In hindsight the prediction proved to be wildly inaccurate and not representative of the observed sunspot numbers. The academic retreat from reality has occurred on the Earth and in the starry firmament. Their imaginary Double Dynamo Dystopia is used to explain away Carbon 14 variability. But lurking in the 14th century within this interdisciplinary dystopia is the Hecker Horizon in the form of the Wolf minimum and an unnamed maximum. Grand solar minima occur when several solar cycles exhibit lesser than average activity for decades or centuries. Since the calibration curve (IntCal) also reports past atmospheric 14C concentration using this conventional age, any conventional ages calibrated against the IntCal curve will produce a correct calibrated age. In terms of Leona Libby’s chronology the Hecker Horizon is basically the 14th century. In the history books the defining event marking the start of the Hecker Horizon is the Crete Earthquake that probably occurred sometime between 1302 and 1304. The 1303 Crete earthquake occurred at about dawn on 8 August. It had an estimated magnitude of about 8, a maximum intensity of IX (Violent) on the Mercalli intensity scale, and triggered a major tsunami that caused severe damage and loss of life on Crete and at Alexandria. Mallet (1853, p. 37) gives the correct date, but expresses a degree of uncertainty about it, pointing out that some chronicles place the earthquake in 1302 or 1304. Sieberg (1932a) … also lists an earthquake at Alexandria in 1326, but this is really the 1303 earthquake (for further critical considerations, see Ambraseys et al., 1994, pp. 43–44 and 108–109). In the section of the catalogue devoted to Crete (p. 208), the earthquake is wrongly dated to 1304, without any indication of the day or month. Two other earthquakes are listed as having occurred in 1306 and 1311, but they can, in fact, be assumed to be duplications of the 1303 event. Plataki (1950, pp. 475–476) simply dates the earthquake to 1303, but considers the date 8 August 1304 more likely. The defining events that mark the end of the Hecker Horizon are the Dover Straits Earthquake of 1382 and the 1389 truce in the Hundred Years’ War. The 1382 Dover Straits earthquake occurred at 15:00 on 21 May. It had an estimated magnitude of 6.0 Ms and a maximum felt intensity of VII-VIII on the Mercalli intensity scale. In England, the most severe damage was recorded in Canterbury, particularly to St Augustine’s Abbey and Christ Church, Canterbury, where the bell-tower was destroyed. The manor house and church at Hollingbourne, Kent were also badly damaged. This has been used to estimate intensity in the range VII-VIII. In London there was damage to St Paul’s Cathedral and Westminster Abbey with an estimated intensity of VI–VII. In the Low Countries damage was reported from Ypres, Bruges, Liege and Ghent. It’s possible sea water didn’t fill the English Channel until the 14th century as England and France only began their long fight “over the right to rule the Kingdom of France” in 1337 AD. Although the will was there, the funds to pay the troops was lacking, so in the autumn of 1388 the Council agreed to resume negotiations with the French crown, beginning on 18 June 1389 with the signing of a three-year truce at Leulinghen. The Hecker Horizon is also the defining event that triggered the gradualist rewriting of history. The scope and nature of the Hecker Horizon is slowly coming into focus. In Greenland the Hecker Horizon is found in the ground and in the ice. 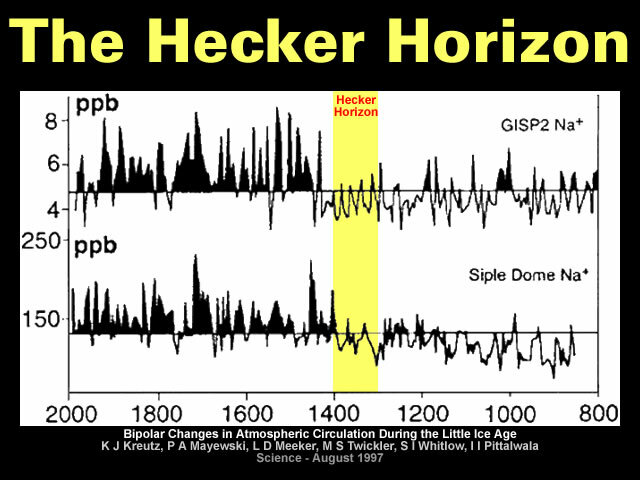 The Hecker Horizon is also found in Alexandria and Rome. The Hecker Horizon is dated to somewhere between 1317 and 1415 in Southern Africa. And facets of the Hecker Horizon appear in the Southern Ocean, Antarctica and New Zealand. But, as always, readers are free to enjoy the dynamo treadmill so they can experience a real Wolf Minimum when they begin to tire. Gallery | This entry was posted in Catastrophism, Hecker Horizon, History, Old Japanese Cedar Tree, Radiocarbon Dating, Uniformitarianism. Bookmark the permalink. I will quote from an remarkable account from one Konrad von Megenberg, 1349 the Book of Nature, 2. Part: earthquake p. 110-112 English (translation by Sacha Dobler). Found on the last pages in the linked paper. “Another miracle: due to the earthquake fires may come out of the earth, so that towns and villages will be consumed by it. This fact is caused by the fires inside the earth. A third miracle: during the earthquake sand and dust will come to the surface, so that a whole village becomes absorbed in it. That is because the earth’s interior is sandy and on the surface is a solid strong crust, that retains the vapors, so they won’t be released. This account reads as sober description from a contemporary witness with faculties in order. Many thanks for your excellent papers. The Hecker Horizon then might have been the calamity that wrecked the Zeng-He fleets Gavin Menzies proposed, and which might match up with Ted Bryant’s Tsunami event in the Southern Hemisphere. I would also guess that the Hecker Horizon terminated the megafauna around the planet, so in terms of building infrastructure over-sized buildings were modified for smaller people. In this sense dwellings with low ceilings would have been the barest minimum people could make with the available resources. But then pygmies exist to the present time, so small dwellings may not mean anything. Collapse of megafauna may also be due to a change in gravity, or in my opinion, a change in the electric field strength of the earth’s ionosphere-surface potential. This might have been achieved by an increase in ocean surface area and hence from sea level rise. I also wonder whether the 100 years war was fabricated by the survivors of that event ? 100 years warring seems more like destitute peoples trying to survive and fighting over scarce resources. A heck of a can of worms we have. I’m bending those narratives a little, I think the permafrost was formed over a matter of days and that it took centuries for heat from the geothermal gradient to penetrate close enough to the surface to melt it, once it did mountains would melt into the ground, massive landslips would occur, methane reacting with the salt layers would burst into flame, pathogens long frozen would escape, just a little. Signs of the beginnings of something similar are extant in Siberia. This account seems to be a description of the eruption of maars, or phreatomagmatic volcanos/kimberlites in Germany. And these had also to be accompanied by plasma effects since kimberlites and maars are formed from downward spiralling plasma vortices as short circuits between the earth’s surface and the ionosphere. The crystalline basement would have been eroded at depth and since granitic rocks are mostly quartz (SiO2) and felspar, grinding of such rocks will produce fine grained sands, water and methane. Grinding occurs from the z-pinch mechanism. This is also observed in flowing water in natural water courses where small vortices have been filmed grinding down channel sand. 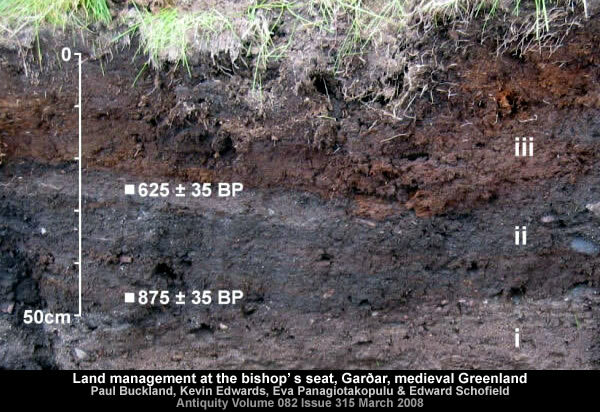 And sedimentary basins full of sands and muds when plasma eroded will also generate prolific sandy output. Petrification seems like biological organisms being subject to a deluge of protons and being snap frozen, assuming that we, as about 95% water in the EZ liquid crystal phase. The origin of the protons remains a puzzle since no one has ever managed to extract subatomic particles as discrete entities like Lego blocks. Only the effects of such imagined entities with condensed matter is assumed.